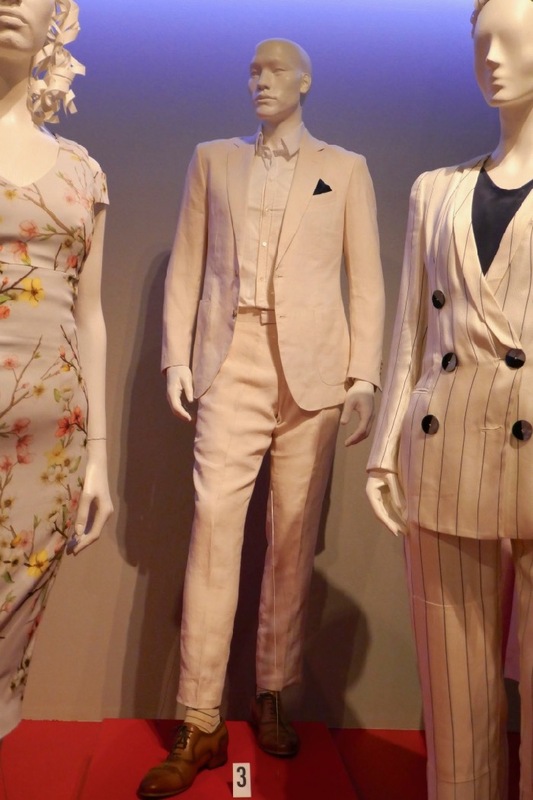 Last year's big screen adaptation of Kevin Kwan's 2013 book, Crazy Rich Asians, grossed over $238 million at the global box office proving that an American romantic comedy with an all Asian cast can be profitable and have a broad appeal. 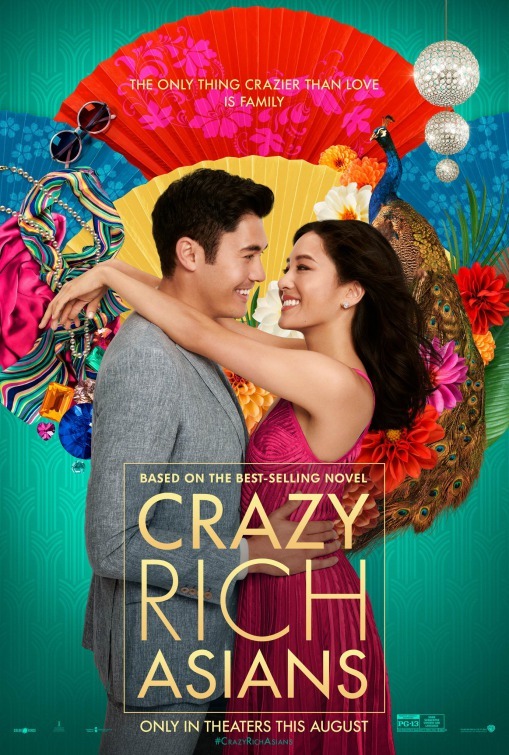 In the film Constance Wu's Economics Professor 'Rachel Chu' travels with her longtime boyfriend 'Nick Young' (Henry Golding) from New York to Singapore to attend his best friend's wedding. 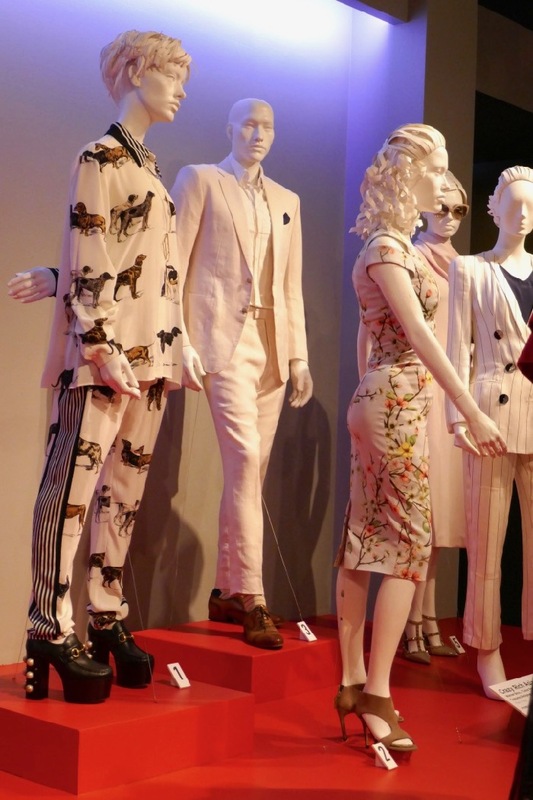 There she catches up with her best friend from Stanford 'Peik Lin Goh' (played by Awkwafina), meets Nick's cousin 'Astrid' (Gemma Chan' and his disapproving mother 'Eleanor Young' (Michelle Yeoh). 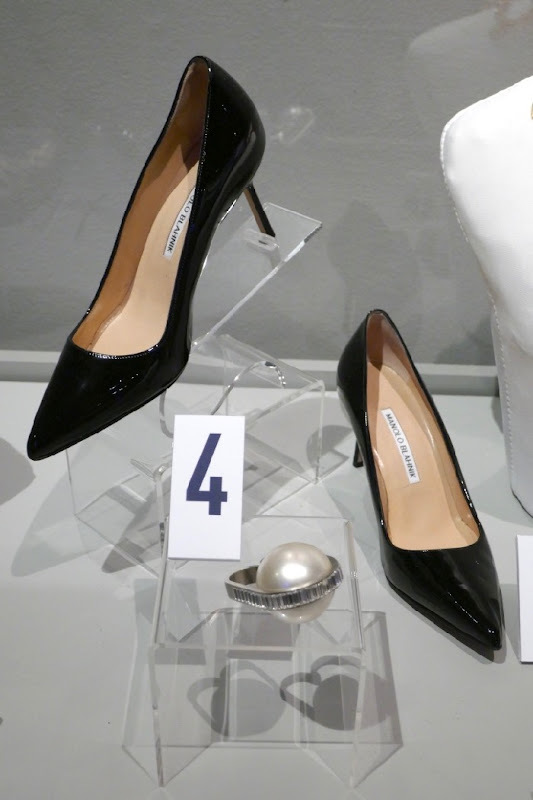 She also discover's Nick's family is one of the wealthiest and well-known in Singapore which complicates things with their relationship. 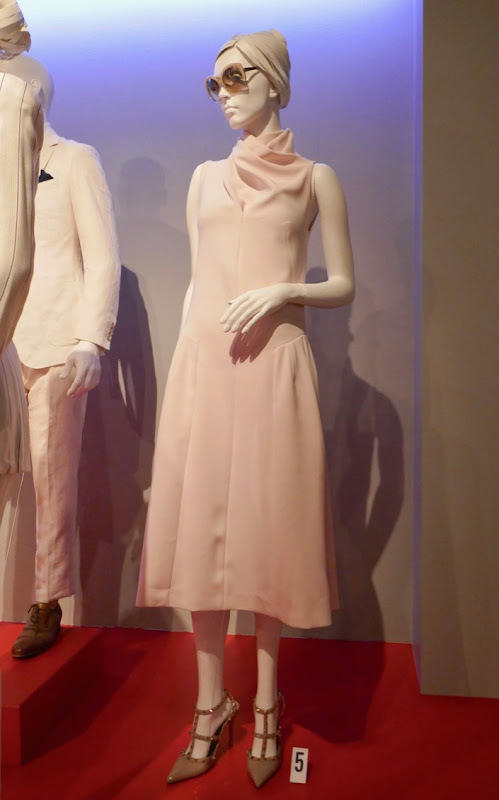 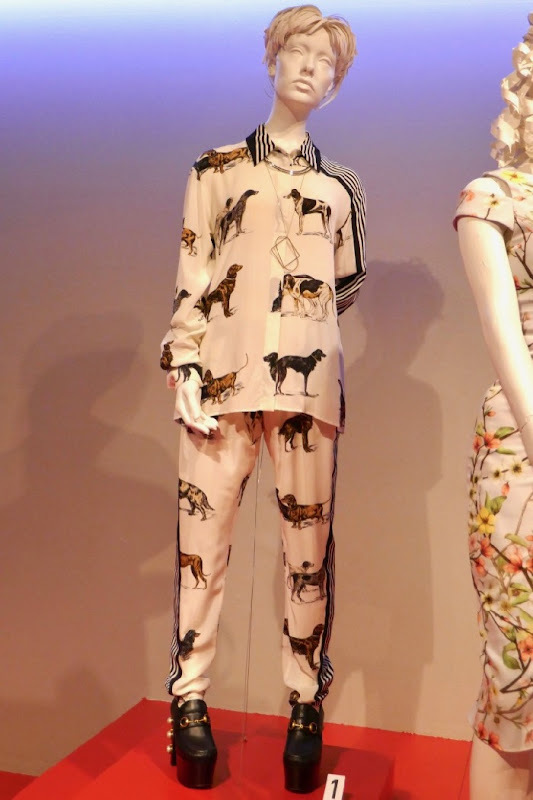 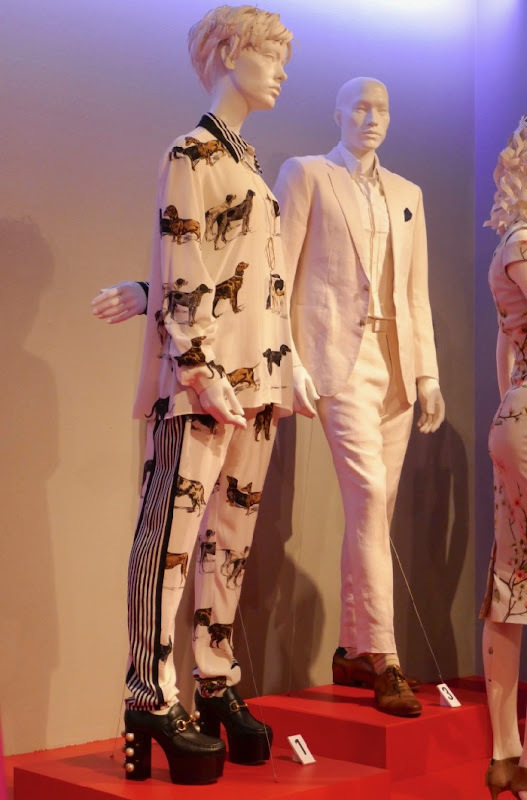 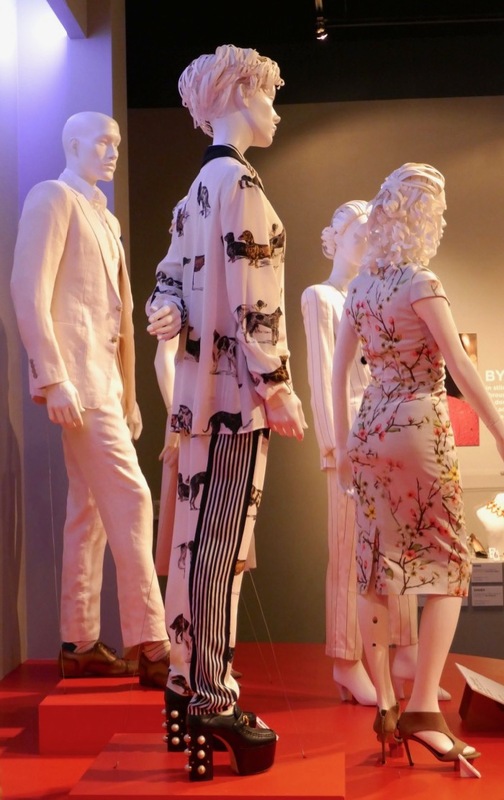 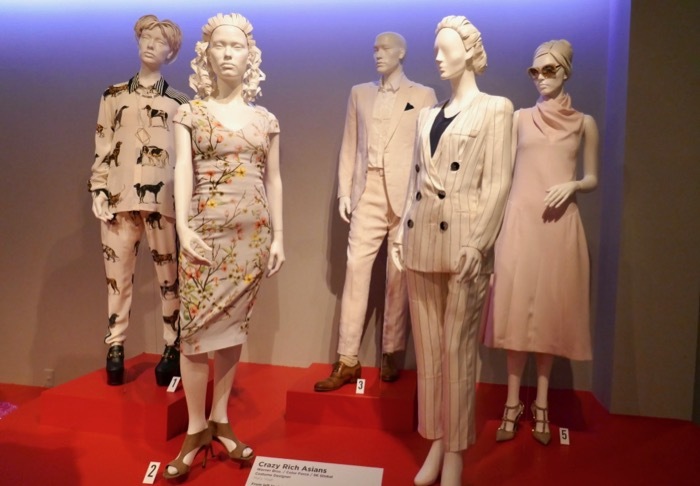 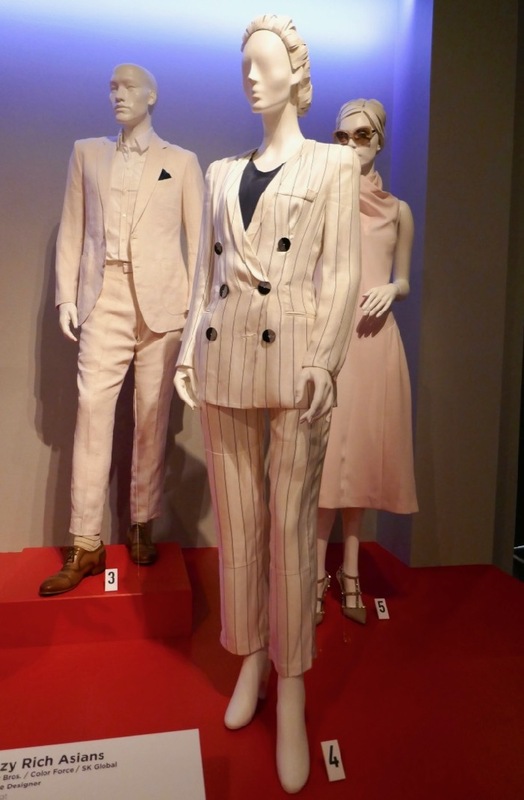 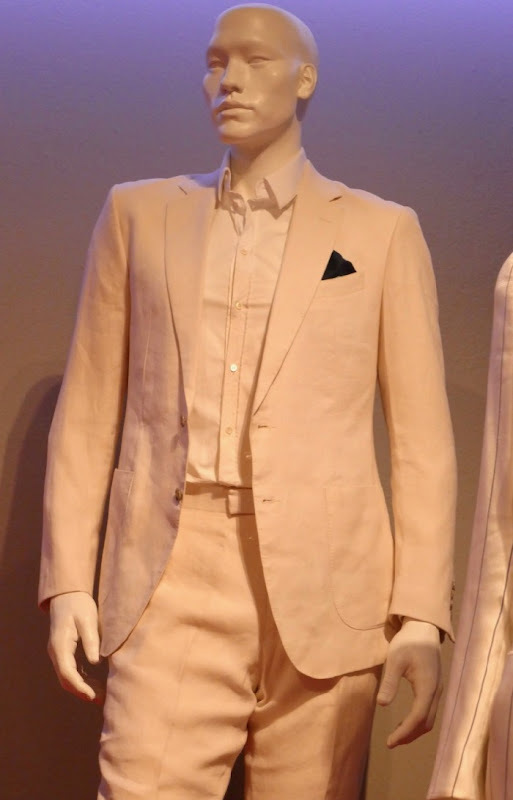 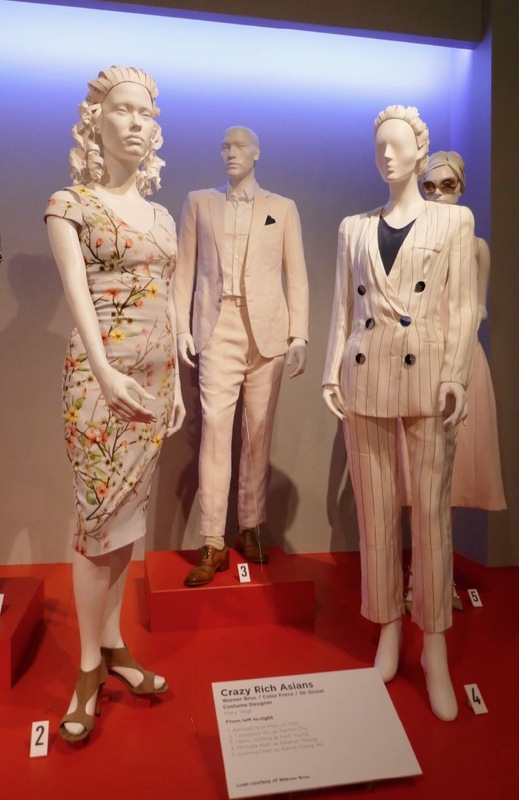 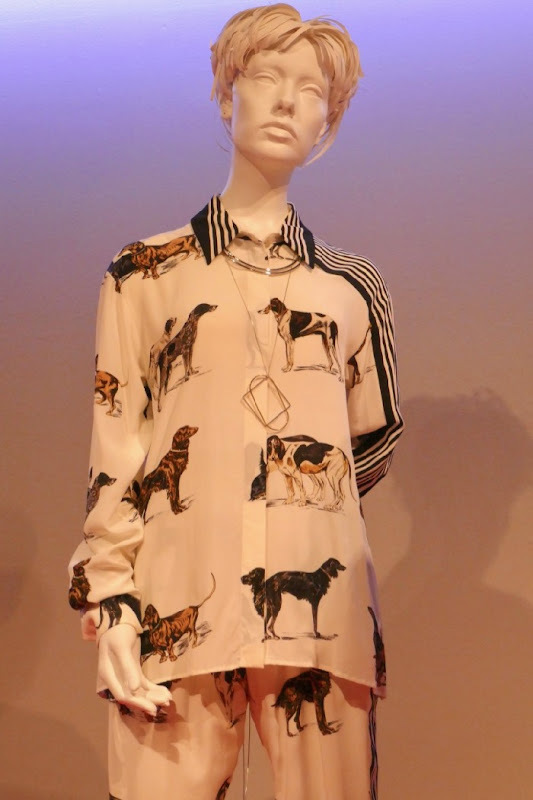 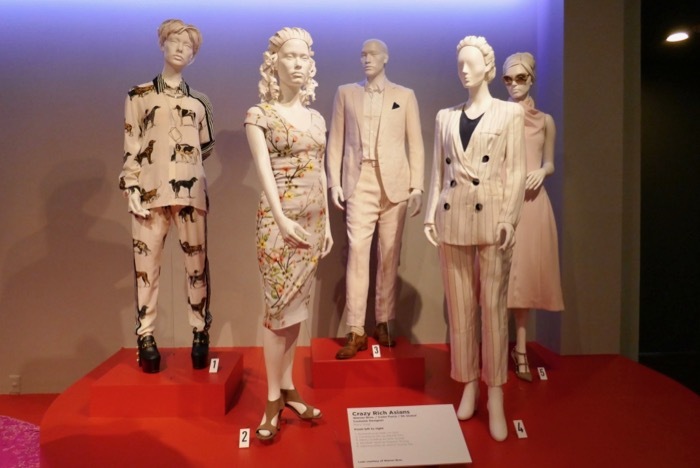 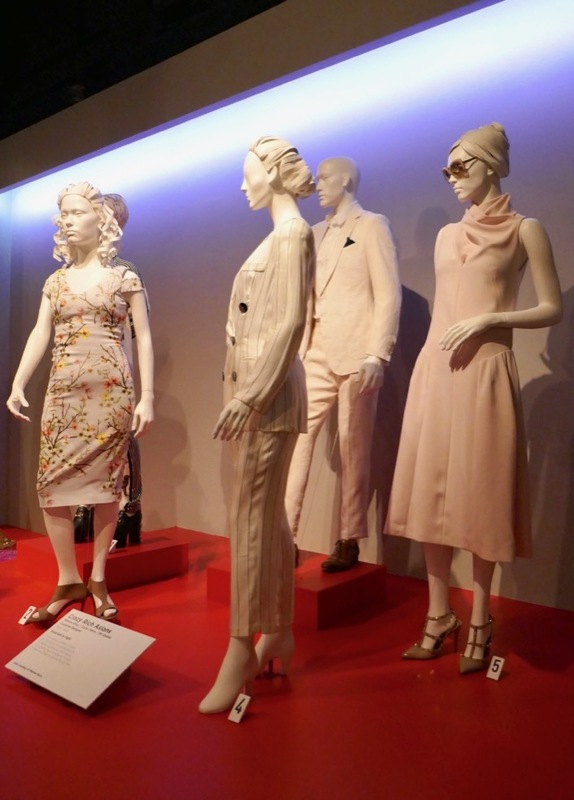 These costumes worn by the ensemble cast in the movie were photographed on display at Downtown L.A.'s FIDM Museum on February 5, 2019. 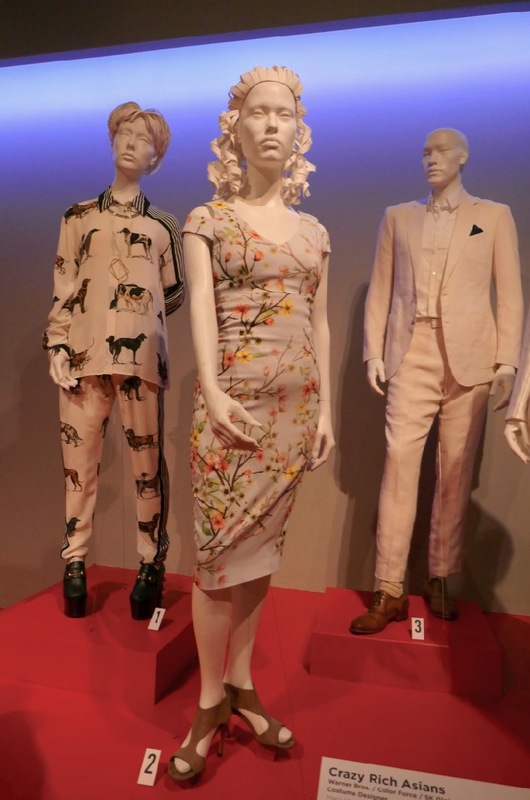 Mary E. Vogt was Costume Designer on the film directed by Jon M. Chu and you can also enjoy these other Crazy Rich Asians movie costumes on display around the romantic comedy's theatrical release. 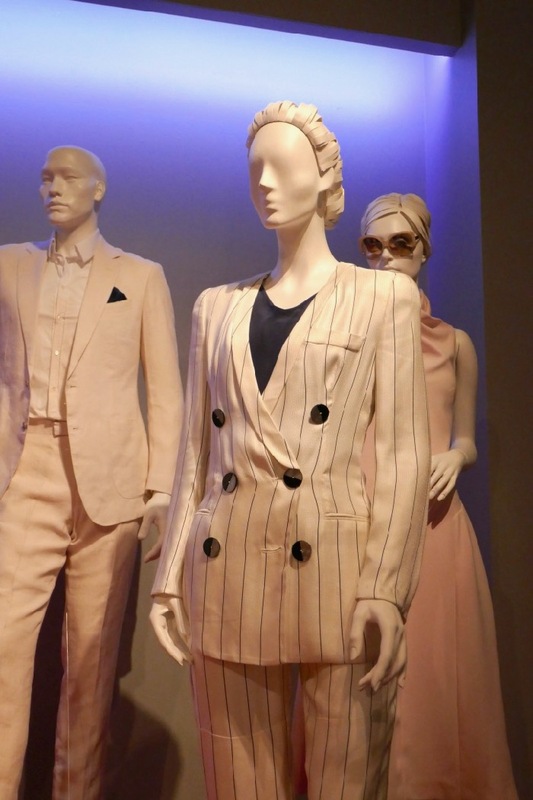 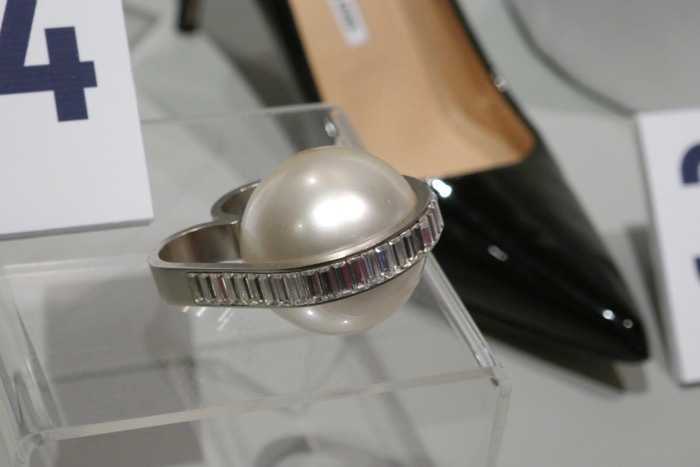 Fans of Michelle Yeoh can check out her movie costumes from The Mummy 3 and her Star Trek: Discovery costume, and Awkwafina fans can also take a look at her Met Gala gown from Ocean's 8 on display.